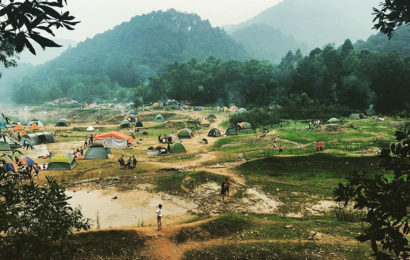 Tho Ha ancient village is located in Van Ha commune, Viet Yen district, Bac Giang province. Its name somewhat indicates the origin of the village: Tho means land, Ha means river. This means that human settlements came into being on a land silted up by a river. 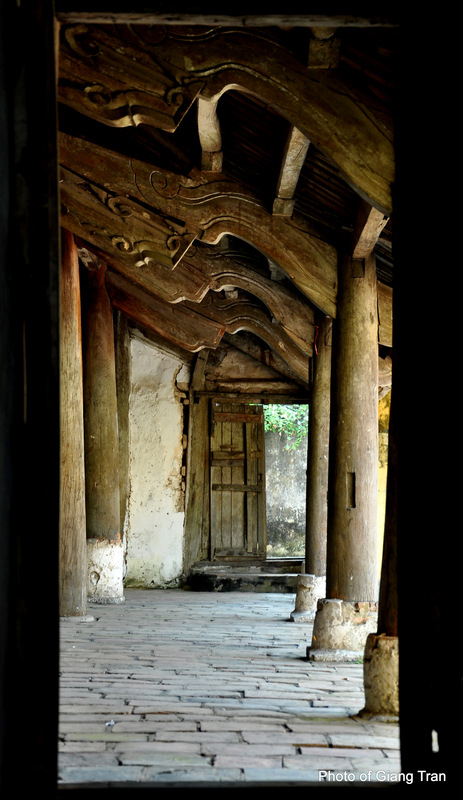 Since ancient times, the Tho Ha communal house was rated as one of the most beautiful cultural sights, and also one of the oldest communal houses in the Kinh Bac region. Indeed, it was built nearly five centuries ago. Some researchers assert 1566-1577 as the date of its construction, but 1686, that is the seventh year of Chinh Hoa reign seems to be more plausible. The communal house is located on a 3000m area, facing the south- west. Its location is regarded as propitious because there is a river on its front (thuy nhieu), and another one at its back (thoai thuy). The house is dedicated to the cult of the village tutelary God and to Lao Tzu, the Chinese philosopher and founder of Taoism. It has 3 components: the Anteroom, the Hall of Ceremonies and the Inner Room, whose disposition evokes the Chinese letter “cong”. In front of the Anteroom is a large courtyard, with left and right wings. 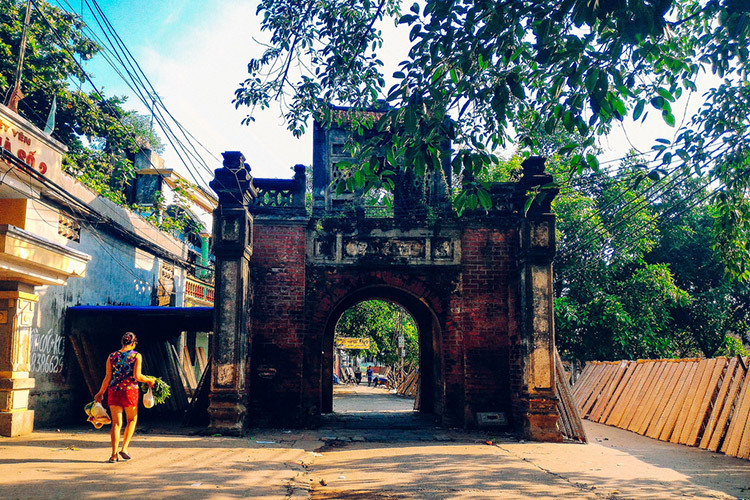 Outside is Nghi Mon, the gate with two big pillars. 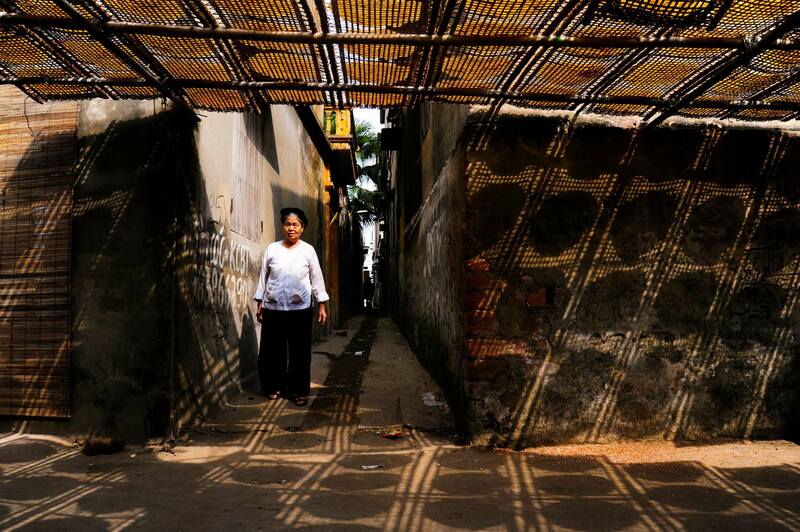 Viewed from outside, this communal house has a large, slightly-sloping down roof covered with old-style tiles (mui hai). 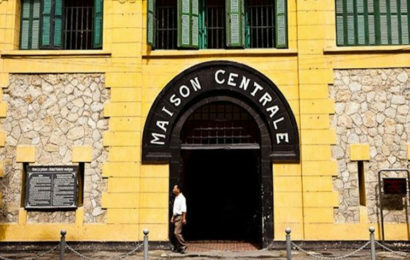 It is the centre of the cultural life of the commune. Tho Ha porcelain has its unique highlight: high content of terracotta, waterproof, its noise as bells’, smooth, warm and close brown-red enamel color. Porcelain products have permanent durability although they are buried in the soil or soaked in the water. The village only makes porcelain household things with once famous jars and earthenware containers. Old porcelain pieces remained in walls is still in their shapes with their spirit. 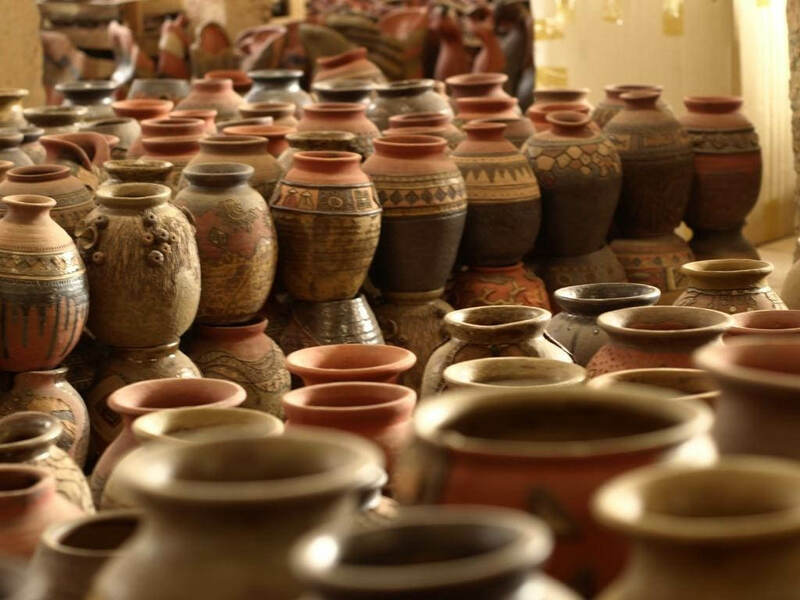 Thanks to porcelain industry, life of former people here is much better than those in other areas. The prosperity of porcelain industry helped people built an architectural complex of communal houses, temples, shrines and village gates of great size. 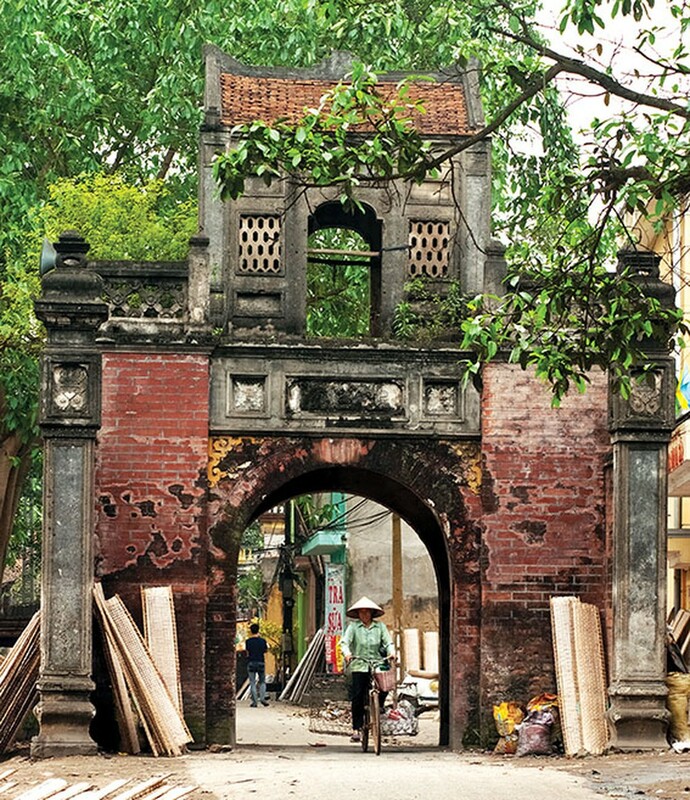 Tho Ha is also famous for old architectures, from houses to village gate, old well area, which are made of refined bricks and terracotta without enamel. Especially, here exists an ancient temple and a sizable communal house – a masterpiece of Vietnamese traditional architecture. 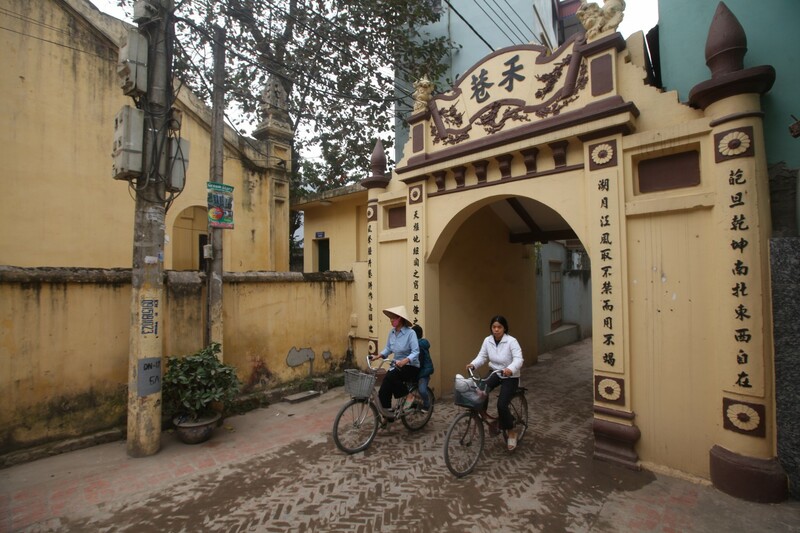 Tho Ha village gate has nice, large and antique architecture, made by skillful hands of the village’s craftsmen, showing the prosperity of the former porcelain industry. This is one of the best village gates in the lower and middle stream of Cau river. The gate is at the village head, in front of the communal house, with a wide lake on the left and a hundreds-of-years banyan tree on the right. These are cultural particulars of residents in Northern plain with the images of village gate, banyan tree, river wharf and communal house yard with gate roof, temples, shrines … In addition, in the village still preserves some ancient houses built more than 100 years ago, typical for ancient houses of Northern plain. In addition to ancient architectural components, the communal house still keeps nine ancient steles. Ancient bibliographies and steles demonstrate the antiqueness of this communal house. 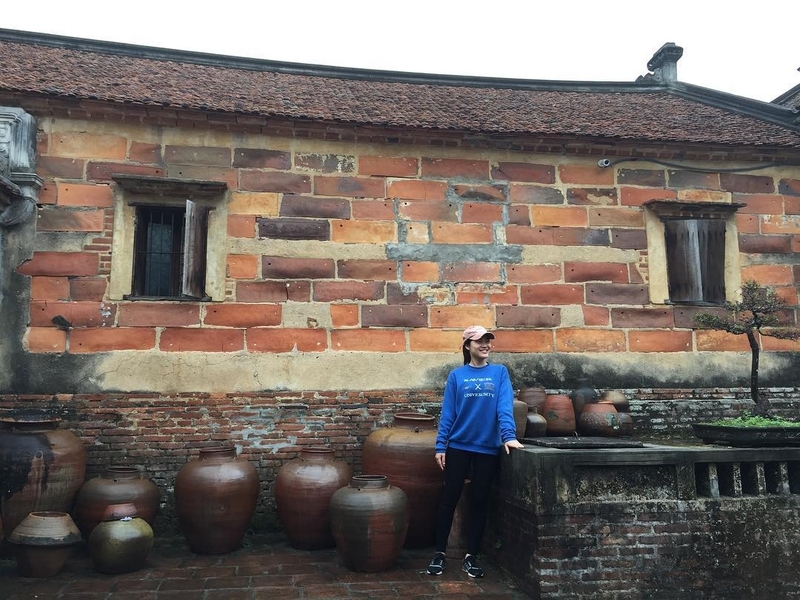 Therefore, it is not sudden when scientists consider Tho Ha communal house as a flower in Vietnamese ancient architectural art. In 1962, Tho Ha communal house was ranked as the national artistic and architectural relic. Tho Ha temple is named “Doan Minh Tu”. The formal chronology of the temple has not been found. 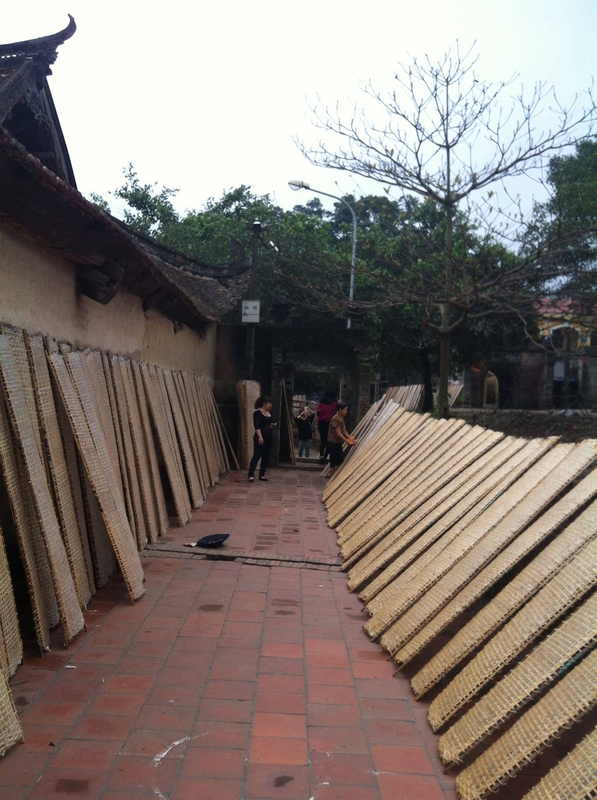 Basing on the letters written in the two stone dragons at the door of the temple, in Giap Than year 1580, in Mac dynasty, they bought stone dragons; in Canh Than year 1610, the temple was repaired. Therefore, the temple must have been built before that time. The temple was built with large scale, including three-door temple gate, bell-tower and forecourt. The three-door temple gate lies behind the communal house. The bell-tower and forecourt were carved splendidly with topics of dragons, clouds, flowers and leaves. In resistance wars, the big bell in the bell-tower was taken to mould weapons. In the temple has the statutes of Nhu Lai Great Buddha and Quan Am Bodhisattva Kuan-yin sitting on Buddha’s thrones. From Tam Bao tower, along the two corridors is to go to the fairy cave, a unique architectural construction. The fairy cave records all images of Thich Ca from his birth, growth to his quitting from imperial city to go to the cave to reach a religious life. Next, going across a big year, we comes to the Founder house, which worships the Founder and monks presiding the temple. Tho Ha temple was ranked as a cultural and historical relic in 1996. 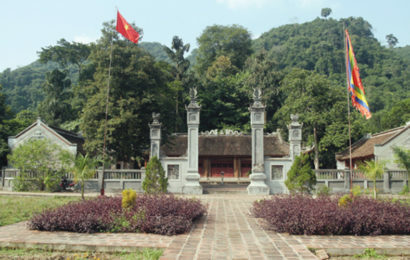 Tho Ha village shrine was built in the 17th century (according to the stele remained, it was built in the 5th Vinh Thinh year, 1680). It worships Khong Tu, Tu Phoi, 72 gentle fairies… This is considered the cradle of Tho Ha knowledge. It also attracts many tourists to visit, especially in exam seasons when candidates come here to burn incense with respectful heart. Tho Ha village shrine was recognized as a cultural and historical relic on 28/02/1999. The antique beauty in ancient architectural areas and villages along with traditional crafts with the village spirit, Tho Ha has been attracting more and more domestic and foreign tourists to visit and study about art and architecture, as well as artists and craftsmen to visit and find out inspiration for artistic creation.